Now, this isn't true of all brands of tea bags. 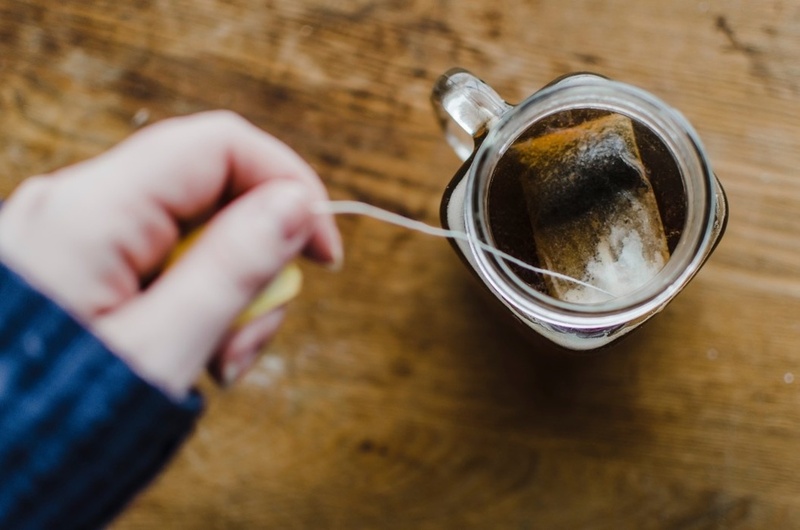 Many popular brands in the UK (like PG Tips and Yorkshire) are working on eliminating the plastic and should have plastic completely out of their tea bags in 2019. But while some brands are making a change, not all companies are as transparent. One type of tea bag to be cautious about are the ones that look like silky pyramids. While they may seem fancy (and often come with a higher price tag), that material is often nylon, which is also a form of plastic. So, if you are worried about the plastic in your tea bags, it's worth doing some investigating or considering making a change. 1. Switch to a brand of tea you know isn't using plastic in their tea bags. Try looking for brands that say their bags are 100% compostable or biodegradable, that will mean no plastic. To help you out, we researched and reached out to a bunch of American brands to see what they say about their teas. You can find the list below. 2. Reach out to the brand of tea you currently drink and ask them if they seal their tea bags using plastic. If they do, consider asking them if they are considering changing and explaining to them why the change matters to you. We outline a few reasons why you might care below. 3. Try loose leaf tea. 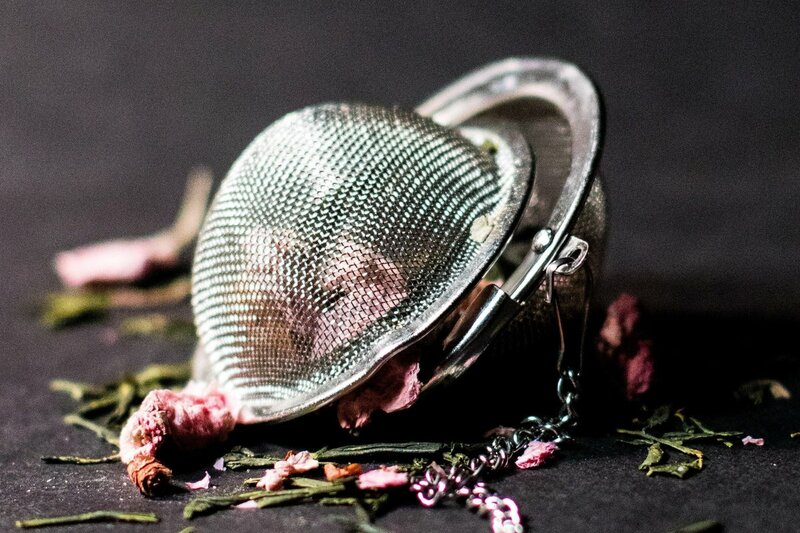 There are a couple of ways to deal with loose leaf tea. You can get a tea ball infuser, get fillable filter bags and make your own tea bags, use a french press like for coffee, or brew a pot and use a strainer. You can also check out some of our on the go tea mugs. Of course, the other option is to go all out and let the tea brew at the bottom of your cup and then read your tea leaves when you are finished. Why is all this worry and change worth it? While it might only be a small amount of plastic sealing each tea bag, you are dropping these tea bags in hot water. And, from all of our research, we know that plastic is more likely to melt and leach chemicals when it is heated (1). From reading a couple of tea company websites, the type of plastic most often used to seal the bags is polypropylene. This is marked with a recycle number 5. While this is considered a safer plastic than some of the others, it is still never recommended that plastic be heated (1). On top of the concern that you are drinking some plastic every time you have a cup of tea, which can mess with how your body regulates hormones, disposing of the tea bags also means we are adding to the plastic problem. While often tea bags seem like they can be composted, if they actually contain plastic, they shouldn't be composted. 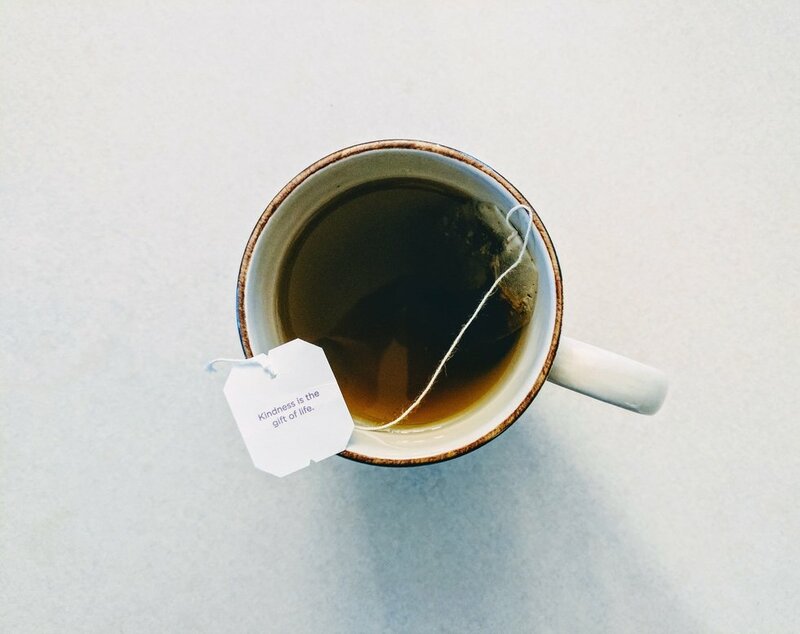 By accidentally incorrectly putting tea bags that do contain plastic in the compost you are adding small amounts of plastic to the compost, which will introduce these chemicals back into the food chain as plants absorb them from the soil as they grow. Instead, these bags should be put in the trash. Or, if you want to go above and beyond, you can open the tea bag, but the tea leaves in the compost, and just place the, now empty, bag in the trash. So, next time you want a nice, relaxing cup of tea, think about it and opt for one that is free of plastic and better for you and the world.